Samsung launches 12GB DRAM chips production for the Galaxy Fold. March. 15, 2019 07:40. by Ji-Hyun Kim jhk85@donga.com. Samsung Electronics has launched production of 12GB mobile D-RAM memory chips, which are to be imbedded into the Galaxy Fold, the first foldable smartphone introduced by the South Korean electronics company. On Thursday, Samsung announced that it entered the stage of a mass production of “low power DDR 4X” mobile DRAM chips, with a 12GB capacity. Large-capacity DRAM memory chips will allow smartphone with an ultra-high resolution such as the Galaxy Fold, which has doubled in screen size, to perform a smooth operation of various applications. “Some of the next-generation smartphones boast a number of features such as camera module, large-sized, multi display, AI processor, and 5G telecommunication services, so we’ve benchmarked them in designing our newest product to improve the system performance of advanced mobile devices,” said an official from Samsung Electronics. 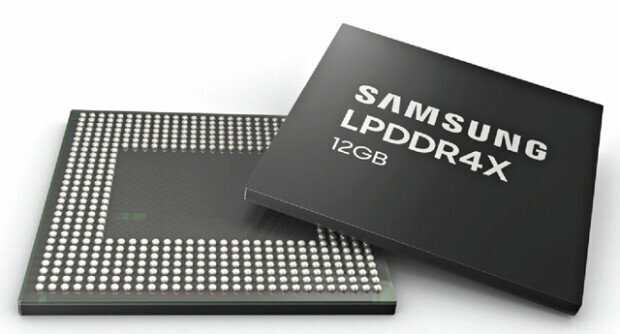 Starting with the mass production of 12GB mobile DRAM chips, Samsung Electronics is making a strategic move to meet the expanding demand in premium memory chips by tripling supplies of 8GB mobile DRAM memory chips in the latter half of this year. The Galaxy Fold will be introduced to the U.S. market in April and to South Korea and Europe in May.